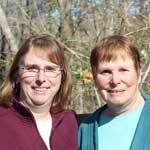 Needlepointers.com has more fun Easter sewing ideas. 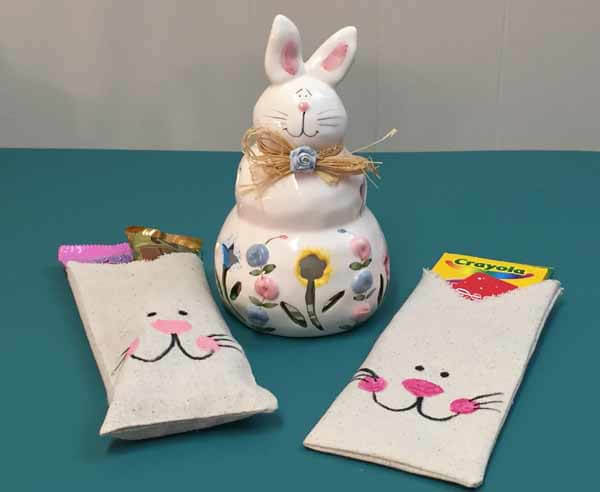 To see them, go to our Easter Crafts Sewing Page. 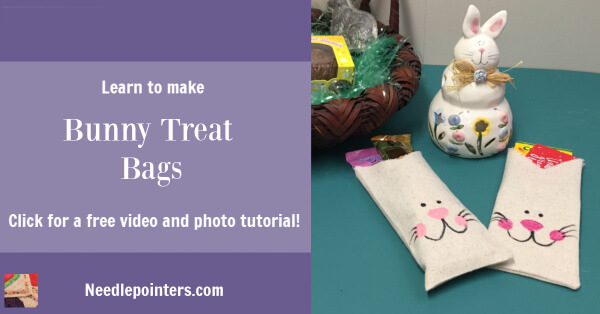 Learn how to make bunny treat bags by watching our video or keep reading this post for a photo tutorial with step-by-step instructions. 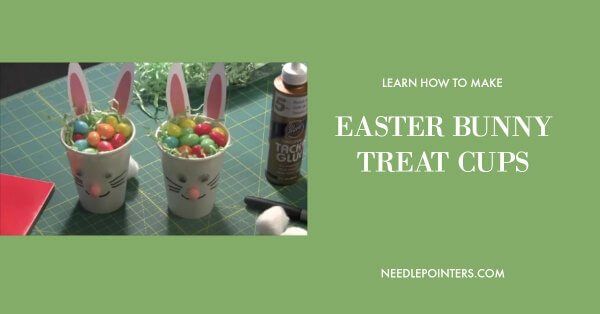 Watch our Video Below or Click the link to watch Bunny Treat Bag Tutorial in Youtube. 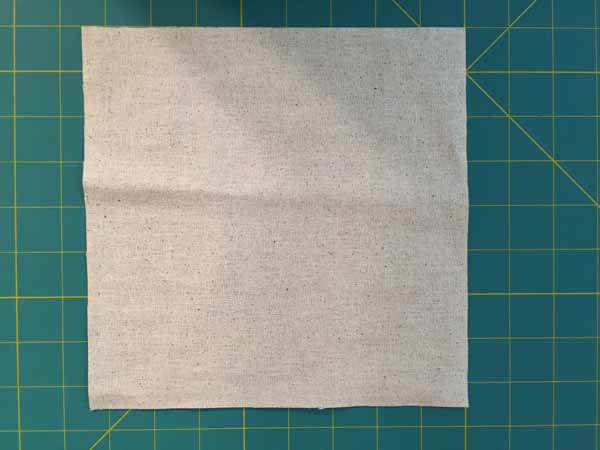 Lay the Osnaburg fabric or fabric you are using on a flat work surface and cut a square 8 1/2 inches x 8 1/2 inches. 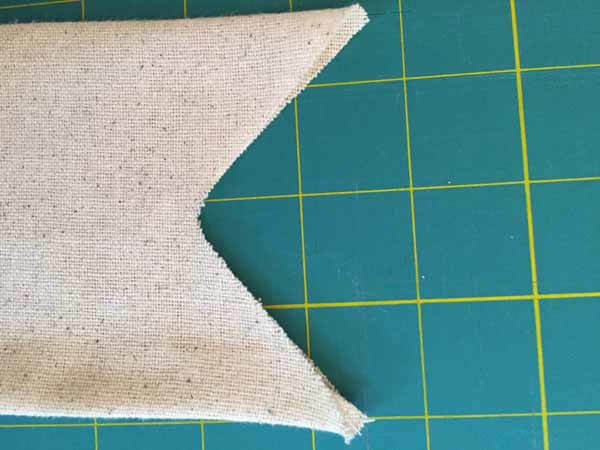 Fold the fabric with right-sides together. 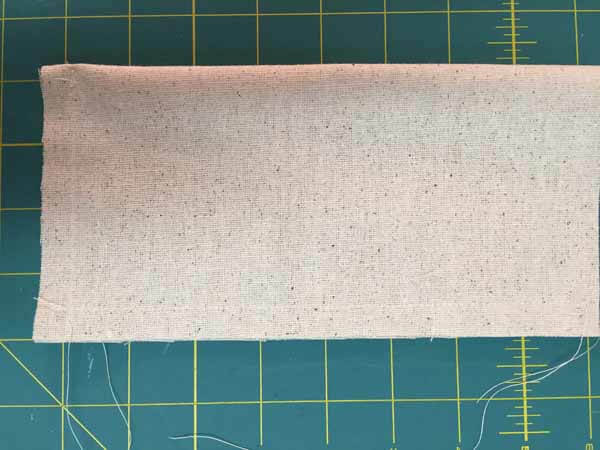 At the sewing machine, use a straight stitch to sew the side seam and bottom seam using a 1/2 inch seam allowance. Remember to backstitch at the beginning and end of each seam. Leave the top open. Fold the unsewn side (the folded side) toward the seamed side. Align the fold right next to the stitching. Insert a pin to hold it in place. 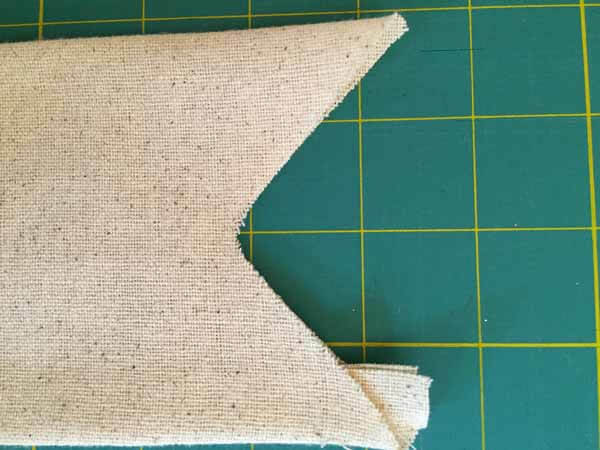 By lining the fold up with the seam, when making the bunny ears you will not be cutting into the backstitching at the top opening and the seam will not unravel. 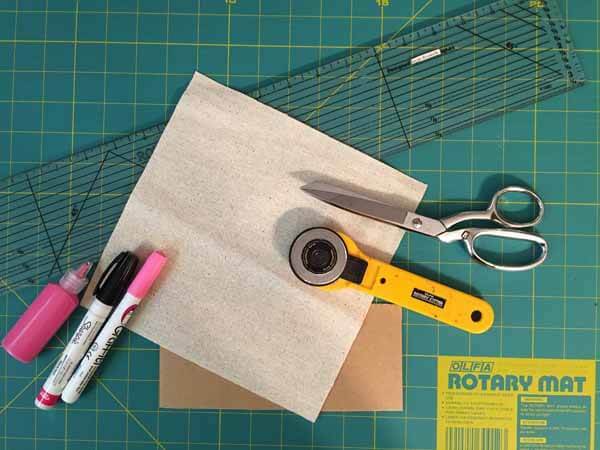 At the center fold, measure down 1 1/2 inches and place a pin or mark with a fabric marker. With a scissor, cut from the side seam to the center fold mark. Remove the pins, open the fabric and the bunny ears are complete. 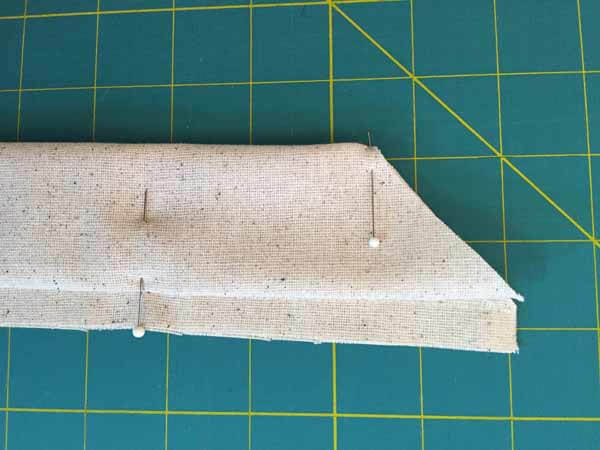 Turn the fabric right side out and press it flat. You will notice the side seam allowance showing at the top of the bag. 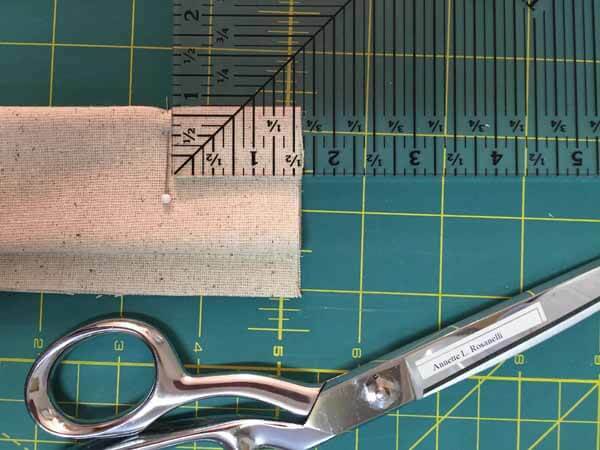 With scissors, carefully trim this away by cutting it on an angle with the ear being careful not to cut the side seam stitching. 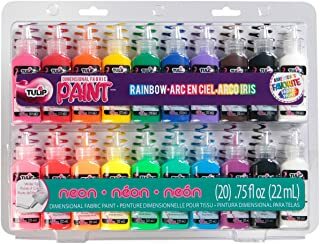 To insure that the fabric marker or paint will not penetrate to the back of the treat bag, place a piece of cardboard inside the bag. 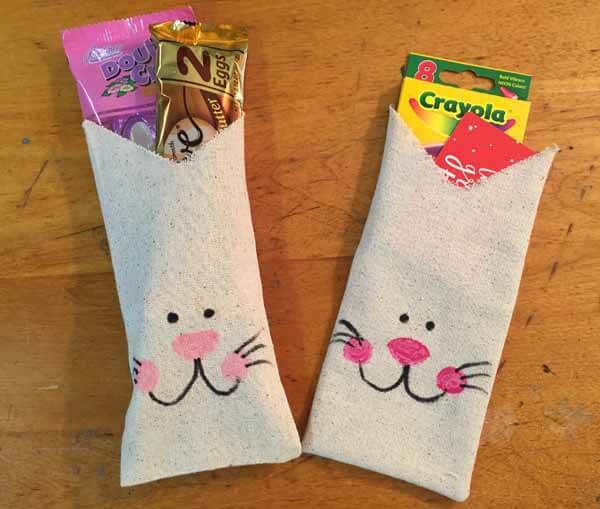 With the pink and black fabric marker or paint, draw a bunny face on the bag. Be creative! Have fun creating the face. The bag is finished and ready to fill with treats. Do you like the fabric basket in the above photo? 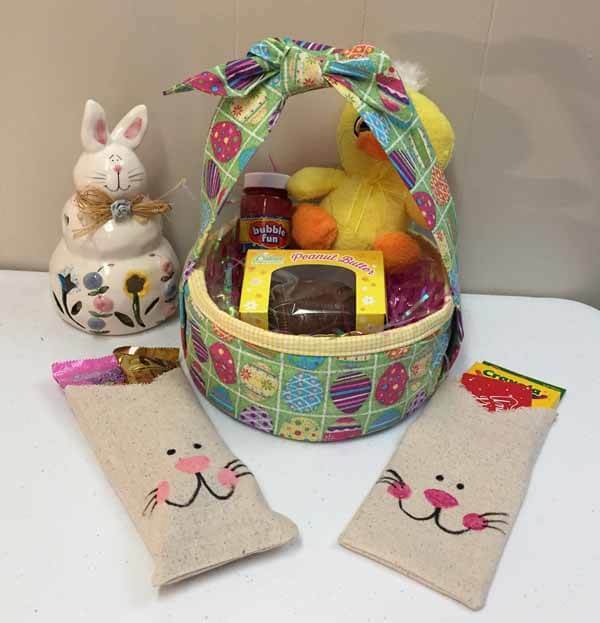 The basket was made with a pattern by Fat Quarter Gypsy. A unique feature is the basket folds away for easy storage by collapsing the spring and tying the handle ends together. Learn more about this basket. 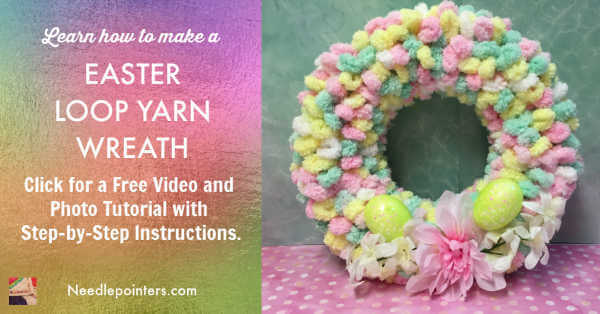 Easter Loop Yarn Wreath - This wreath is super simple and fun to make using loop yarn. 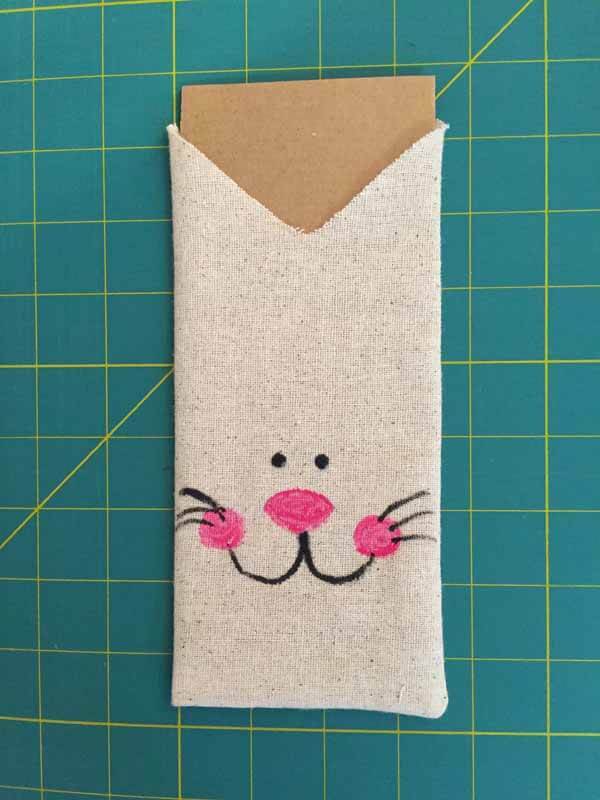 Bunny Treat Cup - Do you want an easy Easter craft for kids? These treat cups are super easy and kids can made to give to friends. 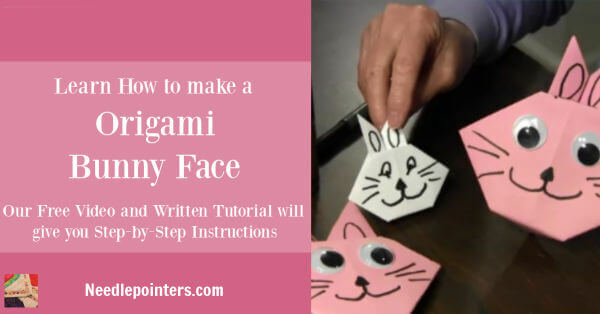 Origami Bunny Face - This is a fun, easy project which kids can make any time of the year but especially for Easter. These bunny faces can be used as placecards, made into garland by attaching to ribbon and used as a greeting card. 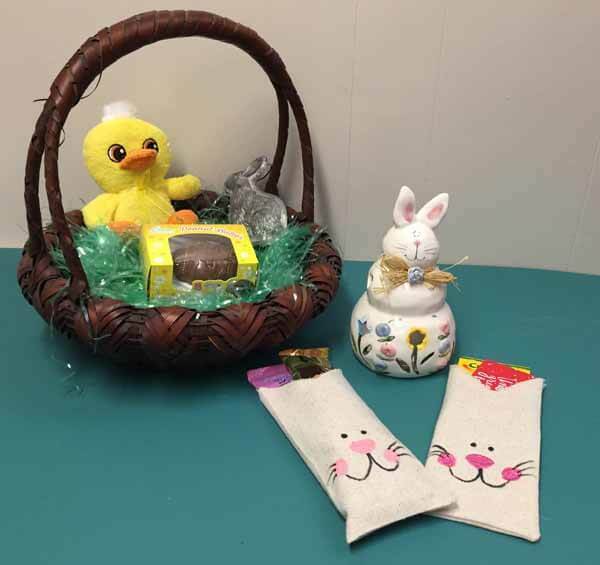 Easter Basket - Isn't this Easter basket super cute? And it cost practically nothing to make. 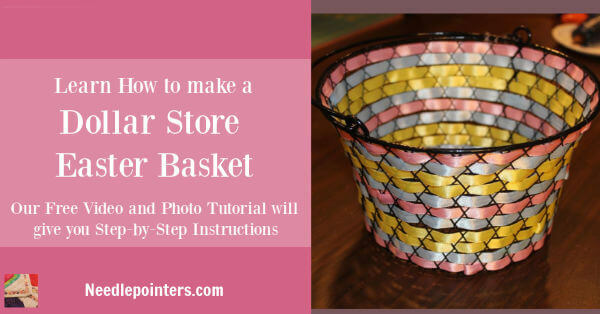 The basket and ribbon can be purchased at the dollar store.